Train to teach and inspire hundreds of young minds along the way. Start your teaching career on a Biology or Chemistry train to teach course this September. Tax-free bursaries and prestigious scholarships of up to £30,000 are available while you train as a teacher. Register to attend the next DfE online event on 18 July; which provides specific advice for new STEM graduates like you. Professor Richard Faragher has received Britain’s highest award for services to gerontology. Richard Faragher, Professor of Biogerontology, and first British President of the American Aging Association, has received the highest honour of the British Society for Research on Ageing (BSRA); the Lord Cohen of Birkenhead Medal for services to gerontology. The BSRA is the oldest scientific society in the world devoted to researching the biology of ageing. First awarded in 1980 the Lord Cohen Medal recognises an individual who has made a considerable contribution to ageing research, either through original discoveries or in the promotion of gerontology in its broadest aspects. Past recipients include Professor Leonard Hayflick, discoverer of the ‘Hayflick limit’ to cell division, Reith lecturer Professor Tom Kirkwood CBE who proposed the evolutionary concept of disposable soma and Mrs Elizabeth Mills OBE, former director of the charity Research into Ageing and Honorary Doctor of Science at the university. Professor Faragher said “I am deeply honoured by this mark of esteem from my peers. But science is a collaborative project and I therefore feel this award is as much a mark of recognition of the work of my students and collaborators as it is of any contribution of mine. 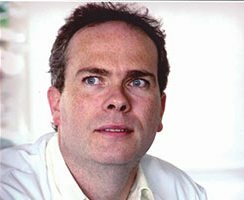 Professor Faragher will deliver his Lord Cohen medal lecture “Cell senescence: And after” at the 66th Annual Meeting of the BSRA on the 5 July in Durham. This will be preceded by a public engagement event “Help I’m Ageing” at which all are welcome.